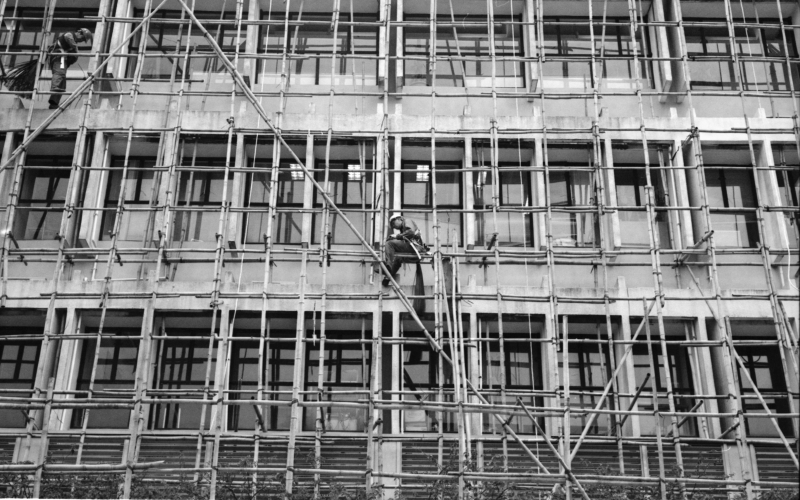 We have been creating a scaffolding here, of which the centre is humankind. Or if this is too grandiose, perhaps we could say that the centre here is a self, a contingency of photography, language, and thought. We think we are building something here but what finally emerges is a self with whom we quarrel. “What then is truth? A mobile army of metaphors, metonymies, anthropomorphisms…” writes Nietzsche. What then is Hong Kong? Hong Kong, for now, is that person crossing the street. 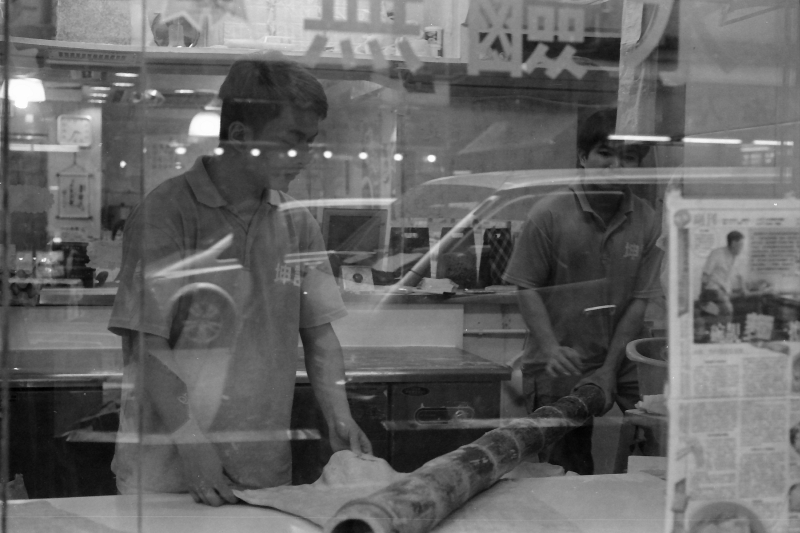 Already there is a pattern to these photographs – the commonplace activities of walking and driving, roads and pavements, people on display – a city is united in pedestrian activities. I happened to be at Cheung Sha Wan on an errand to pick up bamboo noodles for my wife and I chanced upon this. I too am a pedestrian, albeit with a camera. What is that private epiphany here? In Camera Lucida, Barthes focused on memory, family, loss and grief. I am interested in production, action, and mobility of both thought and writing. earth-deposits of a history of money. to emerge to start a fresh flood. where no one needs to speak. that they would stay quiet? Poem and photograph previously published in Friends Newsletter. Hong Kong: Friends of the Art Museum, CUHK. Jan 2013 Issue. Modernity is an engine we need to learn to operate. I suspect we are all operating with metaphors, whether we know it or not. 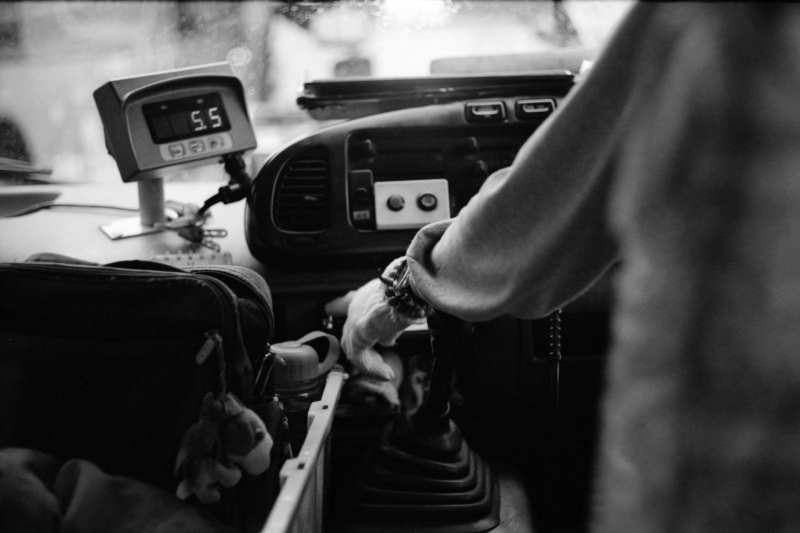 Depending on road conditions, a mini-bus driver knows which buttons to push, which gear to shift into. He knows the number of passengers, the stops available to them. He may not know the final destinations of his passengers, and he does not need to understand. He takes them where he can, on fixed routes, and leaves them to their own fates. The passengers do not know their driver, except that he has a useful and crucial function to serve. In this way, by attending to fixed routines, the disorder of modernity is brought under control. We are all engines (dare I say machines?) connected to one another. 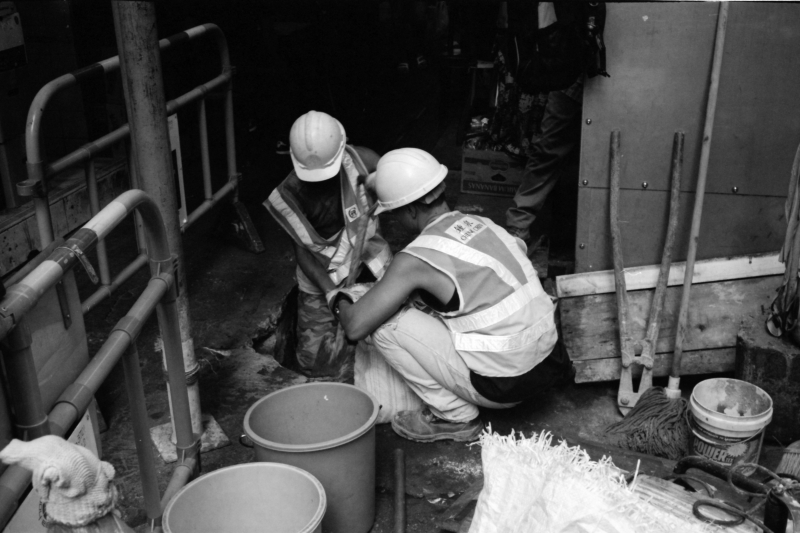 In the photograph, the energy of the city is called into question by the expressions of unwary individuals in candid moments. 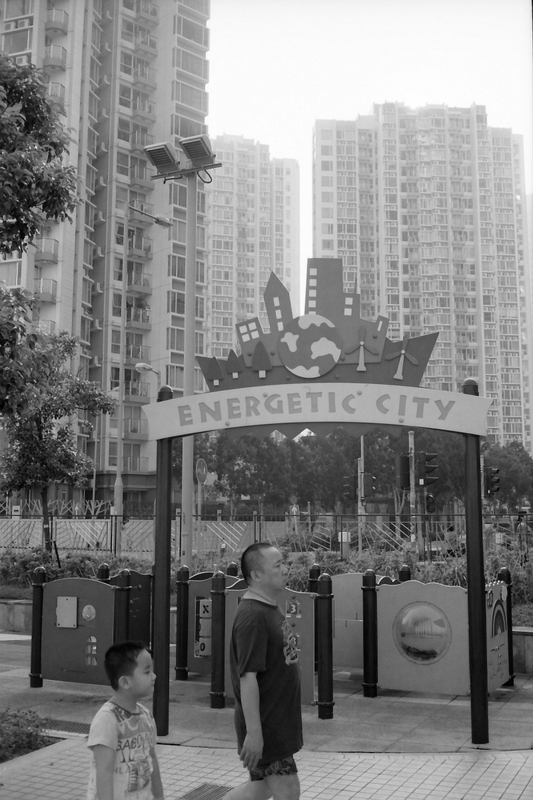 There is that utopian dimension to modernity, encapsulated in the proud sign “Energetic City”. The city promises positive transformation even as the high rise buildings tower over and dominate its inhabitants. The deadpan expression of the father walking past the sign imparts the scene its irony, and the slightly suppressed hopeful countenance of the boy tells us he has yet to be properly socialised into a modern figure. There is then a street wisdom that can be distilled. Because it purports to be easily grasped and navigated, the city projects itself as a child’s playground labyrinth, not unlike the one behind the sign. The father is too wise and world-weary to believe in the sign; in his rejection of this modern platitude, he has become an automaton. The automaton, we should say, is the proper response to the organised happy-clappy progressive modernity in which everything is supposedly understood and transparent. One day, quite some time ago, I happened on one of my photographs of myself. At that moment, I thought: “I am looking at a photograph of myself taking that photograph.” I realised then, that it is possible for me to use my photographs as provocations for thinking. I have been haunted by that moment since. Is it possible to go beyond what I see and hence go beyond myself? 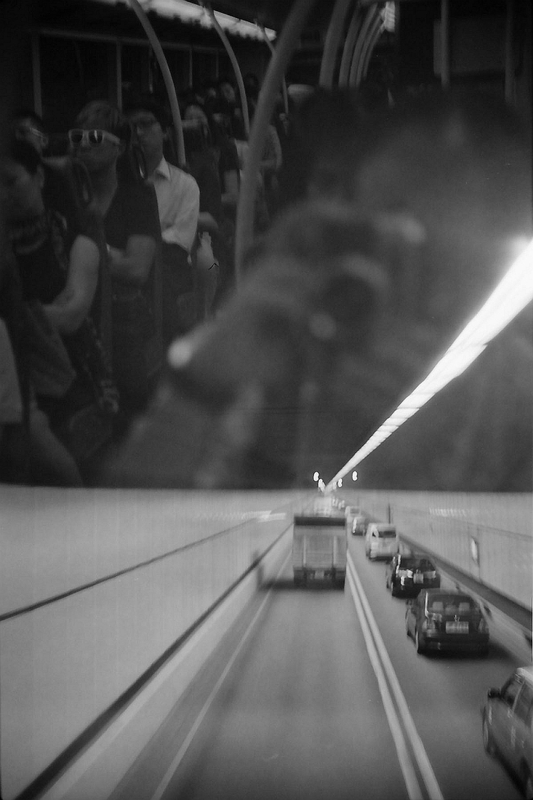 I decided there is a possibility here for street photography and for Hong Kong. 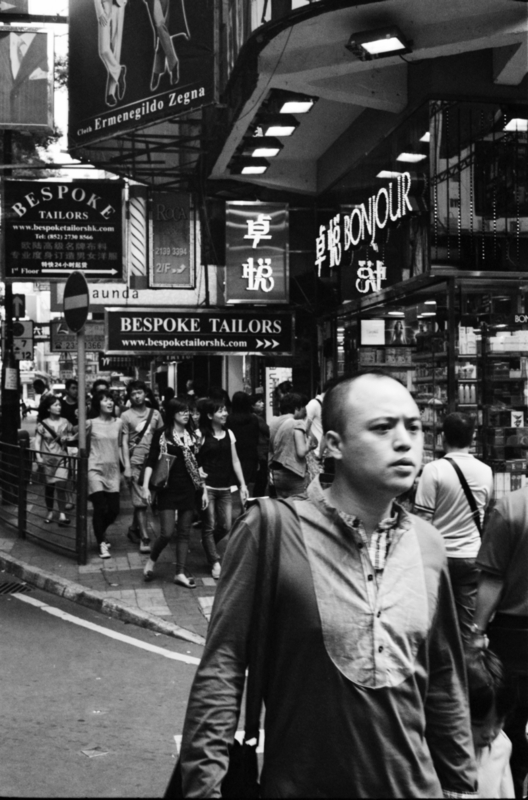 What can Hong Kong teach me about street photography, and what can street photography teach me about Hong Kong?